Enjoy an Exhilarating tandem paragliding flight from Signal hill or Lions head. 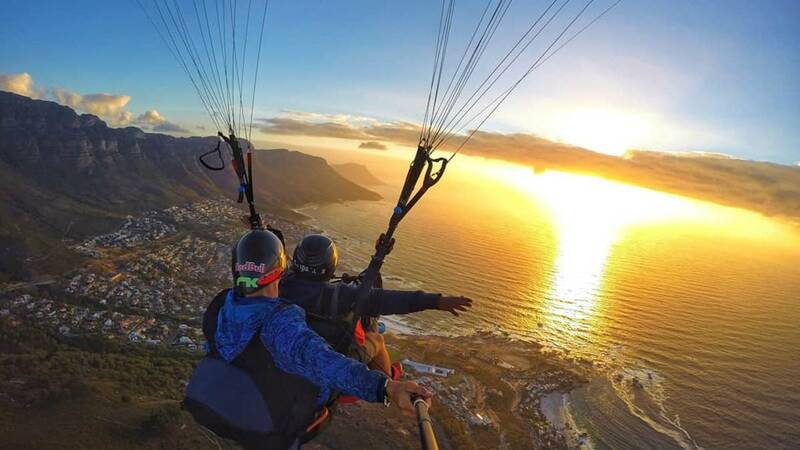 Tandem paragliding gives you an amazing sense of freedom. Once in the air, most people are surprised at how relaxed they feel. You'll sit comfortably upright (like on your sofa at home). You won't feel like you're sinking or falling at all, since you glide, nearly horizontally, through the air at around 40 km/hr. 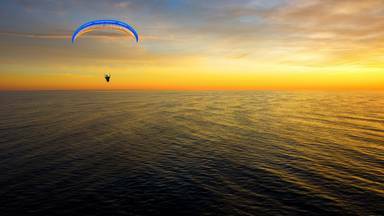 In optimal weather conditions, you even have the chance to fly the paraglider yourself! Your instructor will place his hands above yours to show you how to steer. It really is quite simple and really, really fun! This, like the aerobatics before landing, are completely optional of course! What a wonderful experience!! Had an awesome time with the Team of Parapax Tandem Paragliding Flight... - Michael Gölzenleuchter. Book things to do at Para-Pax Tandem Paragliding. Find the best things to do at Para-Pax Tandem Paragliding. What people say about Para-Pax Tandem Paragliding. Phantastic experience! Good value. Smooth organization. Everything was perfect. From start to finish the team were amazing. Always keeping us informed of the weather and communicating cancelled flights well in advance. On the day we were welcomed with enthusiasm and a lot of energy which only added to the experience. I would highly recommend choosing an early morning slot as the wind has not picked up yet and the sunrise is beautiful. I would high recommend using ParaPax.